Happy, happy 4th of July! I hope you’re able to enjoy the holiday with your loved ones and make some great memories. Today, I’m excited to share a free tutorial that I created with the Janome Horizon Memory Craft 9400 for an awesome project bag. I’m always scouring the house for bags to load up with notebooks, sketch pads, folders, or whatever I’m currently working on to squeeze in a few extra minutes of work on the go, and this bag has a little extra depth to really protect all those items. It’s also reversible, so you can make one side to go with the fall season and the other a little brighter to work with spring and summer! Plus…we’ll take a look at quilting on a thicker fabric than your usual quilting cotton. 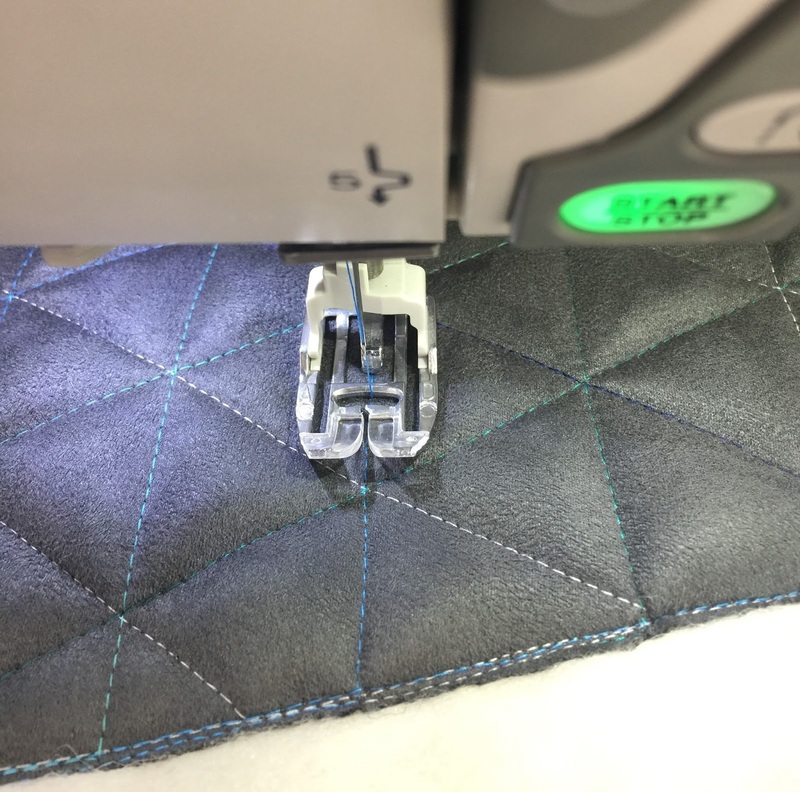 I do a lot of quilting and embroidery on leather and faux leather fabrics, and there is a lot of hesitation when it comes to that from some. When I started sewing, I didn’t take a bunch of classes…rather, I just dove in and experimented to find what worked for me. I didn’t have anyone there to tell me I shouldn’t try something, or that it wouldn’t work, so I think that was a huge benefit. For this tutorial, break out that walking foot (or your free motion foot) and try your hand at some geometric quilting. 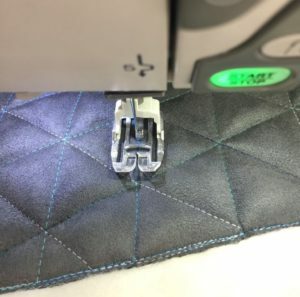 If you haven’t tried quilting on leather or faux leather before, I’d recommend getting a few scraps of some cheap faux leather–my local Joann’s has lots of remnants on clearance that I grab whenever I can–and do some quick samples. I usually do my best work on “trash” fabric when there’s no pressure to mess up expensive fabrics. I’ll make sure my pieces are big enough to make a little cosmetic bag or something with later on, because 9 times out of 10, I end up wishing I could save my sample! 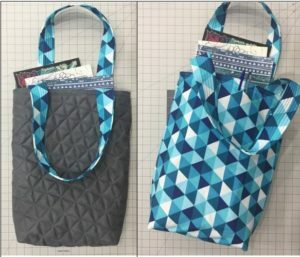 This really is a quick sew–and you can easily alter the bag measurements to make the bag any size you like, upgrade it to add some pockets on the interior and exterior, or whatever your needs are. Check out the full tutorial on the American Quilter’s Society Blog and have fun with it! Go and conquer your fears of quilting on some different fabrics, and happy sewing!